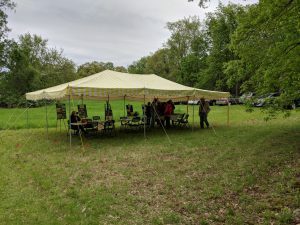 Littleton Conservation Trust, Littleton Historical Society, and various Littleton Town Departments co-hosted a Freedom’s Way Hidden Treasures event on Saturday, May 19th, from 9:30am-3pm at the Nashoba Woodlands conservation area. 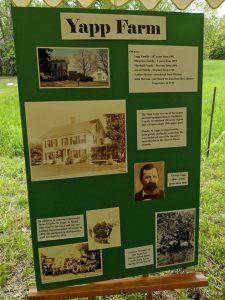 Special places of both scenic beauty and family remembrances of the Yapp Family as they grew up on the family farm were highlighted. Hikes on the Yapp and Cobb trails, activities for children including a visit to Fort Rock, a guided wildflower walk with the New England Wildflower Society, vernal pool explorations with Mass Audubon naturalists, an exploration of the local geology, and Rick Roth of Creature Teachers with his ever-popular live animal program highlighting some of our Northeastern Forest Friends were the main attractions. 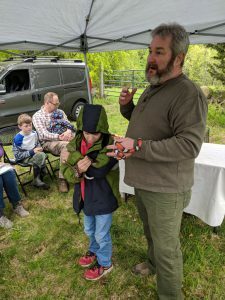 The weather forecast wasn’t good but the weather cooperated for the first part of the day with many people stopping in for a hike, to learn more about the Yapp family’s farm memories and to see and learn about the natural features, creatures and history of the area. 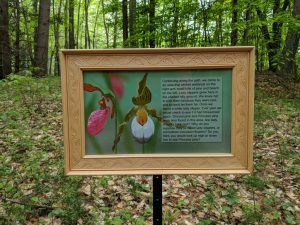 Download or view Bill Vales presentation: Nashoba Woodlands Hidden Treasures 2018. Rick Roth and a young guest with snakes.